Pass the Pumpkin Spices, Please! Pumpkin spice ‘everything’ seems to be everywhere these days. It has been for months and will be for months to come. It’s not just for Thanksgiving anymore. So let’s get to know this cozy flavor profile a little bit better. When combined with pumpkin (an amazing comfort food in and of itself), we are looking at a potentially healing as well as delicious food. 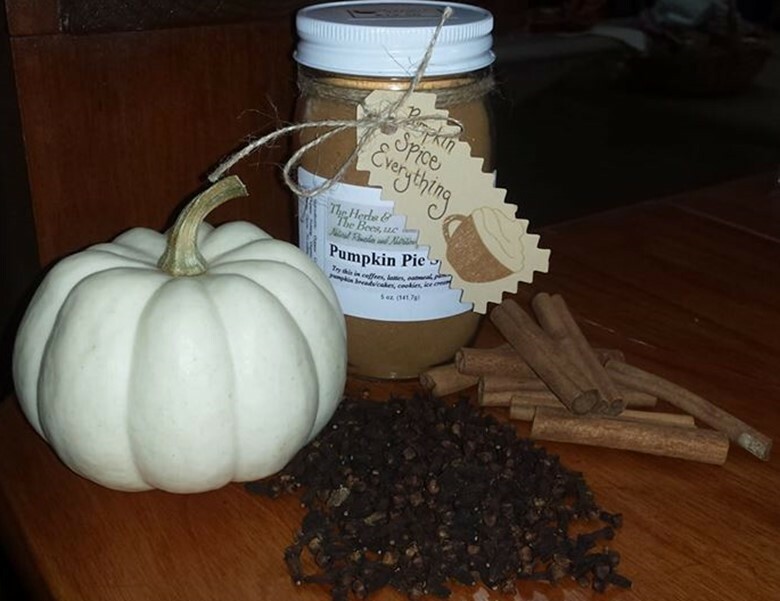 Obviously, if you create a cake, pie, or smoothie of sugar-laden pumpkin spices, you will be working against medicinal properties of the spices, BUT you CAN find and create some very healthy recipes out like custards, pancakes, cookies, lattes, smoothies, and shakes that taste 100% like you are cheating the brains out of your diet. However, you are really feeding your body healthful nutrients. First, they are all warming spices which fight the cold and the damp. All forms of herbalism (Western, Ayurveda, and Traditional Chinese Medicine) use these spices to balance out cold and damp conditions. In addition to their warming qualities these spices have actions that go far beyond their mouthwatering scents and flavors. Cinnamon is one of the healthiest spices on the planet. It can lower blood sugar levels & reduce heart disease risk! Ginger aids digestion and helps upset stomach. Clove is incredibly high in antioxidants. One-half teaspoon contains more than one-half cup of blueberries). There is compelling research pairing clove with cancer and diabetic conditions. Nutmeg aids an upset stomach and also helps with sleeplessness. It is interesting to consider the new research utilizing nutmeg and its effects on cancer and kidney disease. 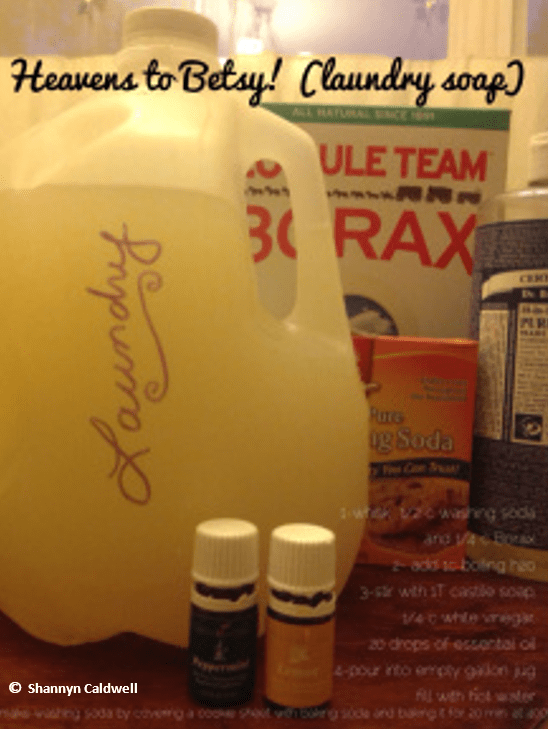 I got super tired of spending my family’s hard-earned coin on garbage detergent and so I did some digging and came up with this heavenly spin on a Pinterest money saving fave! I hacked the recipe because I couldn’t find washing soda in my dear home town, so I learned to make it and felt it was only fair to spill the beans on how! So, dear diva, you should know that washing soda can be made easily from baking soda. All you do is cover a cookie sheet with plain ‘ol baking soda and…bake it! Go figure! About 20 minutes at 400 does the trick. You’ll see. It changes…gets softer, less composed. That done, you’re off to the organic/fair trade/money saving races! Whisk 1/2 cup washing soda with 1/4 cup borax. Add 1 cup boiling water. Pour into an empty and clean gallon jug and top with hot water! 1/4 Cup takes care of 1 large load! If you try it, let me know how it turns out in the comments! If you’ve got questions, ask away! Bless your sparkly clean socks off for reading and sharing. I hope you have fun rocking your laundry!